Below you can view all the homes for sale in the Centennial Lakes subdivision located in Acworth Georgia. 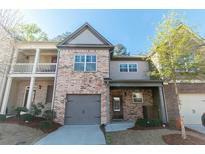 Listings in Centennial Lakes are updated daily from data we receive from the Atlanta multiple listing service. To learn more about any of these homes or to receive custom notifications when a new property is listed for sale in Centennial Lakes, give us a call at 404-998-4112. Highly Desired Area Near I-75 And Shopping! MLS#6538999. Bhgre Metro Brokers. Back Yard Is Fenced, Along With A Custom Built 16X8 Workshop, And A Large Concrete Patio/Gazebo To Entertain On! MLS#6536339. Keller Williams Realty Atl Part. Gas Fireplace, Tons Of Storage In Attic And Multiple Closets With A Large One Car Garage Make This The Place You Want To Call Home! MLS#6534568. Keller Williams Rlty Consultants. Subdivision Has Large Swimming Pool With Slide, Tennis Courts, Volleyball Court, Basketball Court, Lakes For Fishing, Playgrounds, Walking Trails. MLS#6532619. Keller Williams Rlty, First Atlanta. Resort Style Amenities Offers Clubhouse, Jr Olympic Pool, Tennis Courts, Basketball And Beach Volleyball Courts, & Large Lake Stocked With Fish. MLS#6534138. Mark Spain Real Estate. Full Amenity Package Includes Clubhouse, Pool, Lighted Tennis Courts And Beach Volleyball Courts, Large Lake Stocked With Fish! Easy Access To I-75. MLS#6512686. Vici Real Estate. Three Bedrooms On The 2nd Floor. MLS#6529293. Realty One Group Edge. Single Car Garage With Additional Parking Available Directly Across Street. Don'T Miss Out! MLS#6527901. Capital Associates Real Estate, Llc..
Close To Shopping, Schools,And Easy Access For Commuters. MLS#6527524. Oakmark Realty, Inc..
Close To Shopping, Schools,And Easy Access For Commuters. 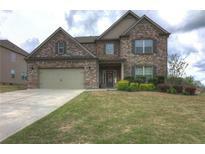 MLS#8553362. Oakmark Realty Inc..
Master Bedroom Suite Features It'S Own Fireplace And Leads To Private Master Bath.Custom Covered Porch & Extra Large Custom Built Patio! MLS#6523553. Berkshire Hathaway Homeservices Georgia Properties. Irrigation System In Front, Professional Landscaped Terraced Fenced Back Yard, Very Private. Lanai W/Fan Over Back Patio. MLS#6521879. Re/Max Town And Country. **Resort-Like Amenities Listed In Private Remarks! ** MLS#6521604. Keller Williams Realty Northwest, Llc.. Enjoy All Centennial Lake Has To Offer With Tennis Courts, Pool, Clubhouse, Trails & Subdivision Activities. Located In Etowah School District! MLS#6514089. Mark Spain Real Estate. Award Winning Amenities Of Tennis Courts, Pool, Clubhouse, Trails & Subdivision Activities Along With Top Ranked Schools! MLS#6513463. Virtual Properties Realty.Com. Home Comes With A 30-Day Buyback Guarantee. Terms And Conditions Apply. MLS#6506289. Opendoor Brokerage, Llc. Two-Story Home With 3 Car Garage! MLS#6507301. Real Broker, Llc..
Don'T Miss Out On This One! MLS#6125209. Century 21 Connect Realty. Highly Desirable Community & Schools. Community Swim/Tennis/Clubhouse MLS#6118030. Atlanta Home Brokers. This Home Has It All. Move-In Ready And Great Schools! MLS#6116704. Realty One Group Edge. Compared To Other Homes On The Market, This Is A Steal At This Price! ! MLS#6114927. Palmerhouse Properties. Amazing Neighborhood Amenities, Award Winning Schools And Easy Access To I-75 And Peach Pass. MLS#6114448. Berkshire Hathaway Homeservices Georgia Properties.